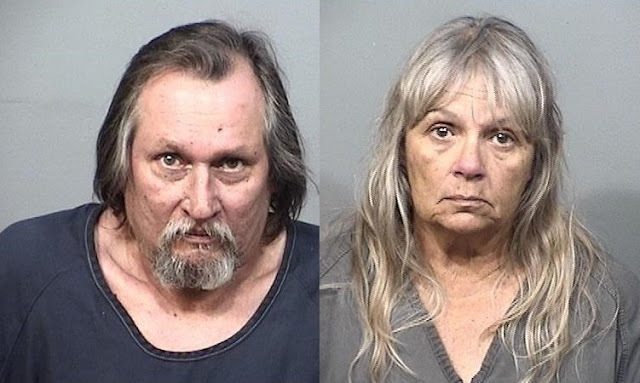 MERRITT ISLAND, Florida - Two people have been arrested and charged with four felony counts and seventy-four misdemeanor counts following a single-family house fire that killed 45 cats, 4 dogs, 2 raccoons, and one Macaw in Merritt Island, Florida. On January 11, 2017, at approximately 3:45 a.m., Brevard County Sheriff’s Office Deputies along with the Brevard County Fire County Rescue (BCFR) crews responded to 473 Kennwood Avenue following reports of a structure fire. When Deputies arrived, they found the residents attempting to frantically remove dogs from the home. However, the house quickly filled with smoke which prevented any further rescue attempts. Firefighters arrived on scene and knocked down the blaze. 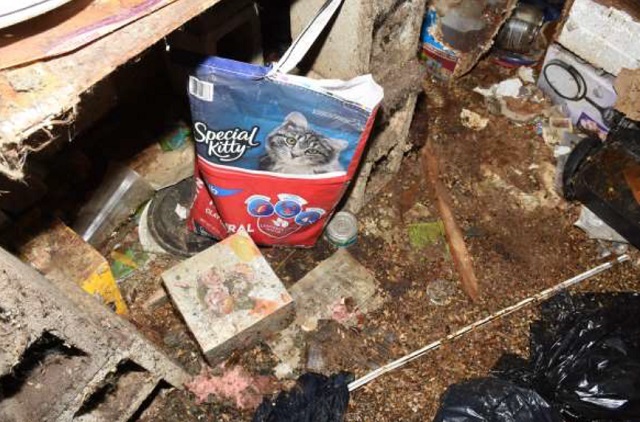 Fourteen dogs and one cat were rescued from the residence. Some of the rescued dogs were immediately provided oxygen by firefighters at the scene, with one dog receiving CPR. All of the rescued animals were later transported to the Brevard County South Animal Care Center where they received emergency treatment. The rescued animals are expected to recover. 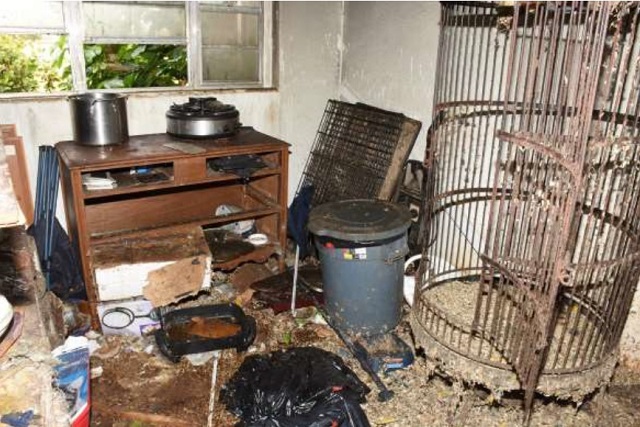 While assisting BCFR with the removal of animals from the residence, Brevard County Sheriff’s Office Animal Service personnel say that the condition of the residence indicated animal hoarding and that the overcrowding of animals within the home resulted in inhumane and unsanitary living conditions. Following an investigation into the incident, 67-year-old Jacquelyn Traum, and 55-year-old Daniel Brantley, both of Merritt Island, were arrested on Monday, January 23, 2017. Both Traum and Brantley are each being held at the Brevard County Jail on a $45,000 bond. 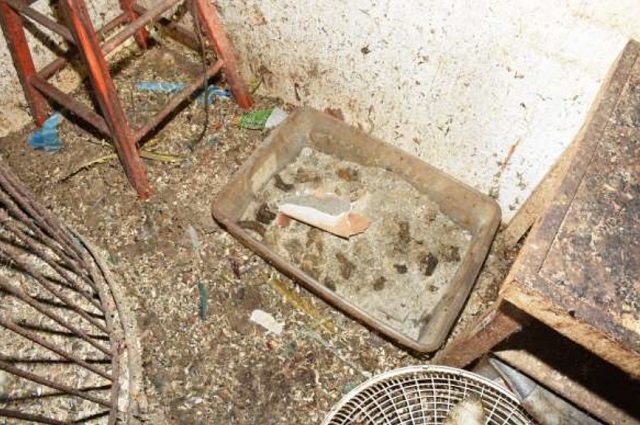 Investigators concluded that Traum and Brantley inhumanely housed a large amount of animals within a small space where the health, safety, and sanitary conditions of the animals contributed to the excessive suffering and stress of the animals. Anyone with information about this incident is asked to please contact the Brevard County Sheriff’s Office Animal Cruelty Investigations via the Sheriff’s Office Communications Center at (321) 633-7162, or CRIMELINE at 1-800- 423-TIPS (8477), you can also visit http://crimeline.org/, or text ‘crimeline’ plus your tip to CRIME (274637). All information to CRIMELINE is confidential and you may be eligible for a reward.